I’ve been making pickles all summer. 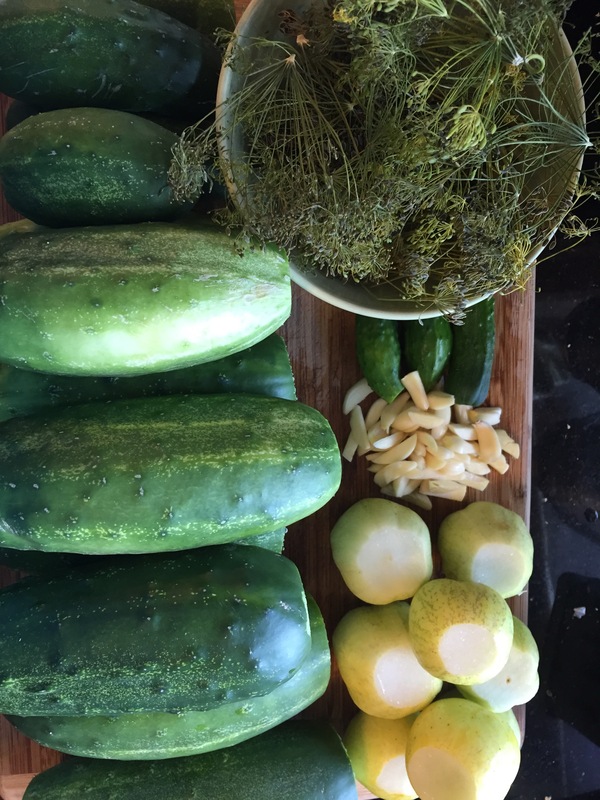 At first my pickling cucumber vines produced only a few little cucumbers per picking, and I had to save them up in the fridge all week just to get enough for three pint jars. But then they took off! And that’s when I offered a little prayer of thanks that I’d mixed up a time-saving batch of pickling spice early on. Last summer, and the summer before, I experimented with pickle flavors. I found various seeds and spices I liked, and I painstakingly measured each one individually into each jar of pickles. It added quite a bit of time to the process. This year, I thought… Why am I doing this? You’ll notice there’s no dill in this recipe. That’s because I like to use fresh dill in my jars. If you prefer to use dill seed, just add some in and increase the amount of Pickle Crisp accordingly. Now when I make pickles, in addition to garlic, dill, and brine (and cucumbers, of course), I just dump a half-teaspoon of my spice mix into the top of each jar. No more individual measuring and counting of seeds! Add 1/2 teaspoon per pint of cucumber dill pickles. Stir jar of pickling spice before each use. 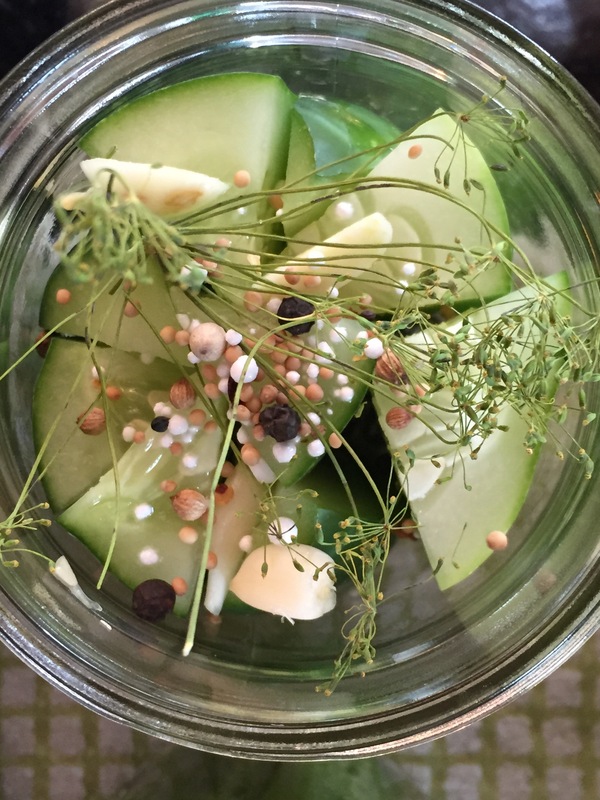 For zucchini dill pickles, add an additional 1/8 teaspoon Pickle Crisp per pint, but expect them to still be softer than cucumber pickles. 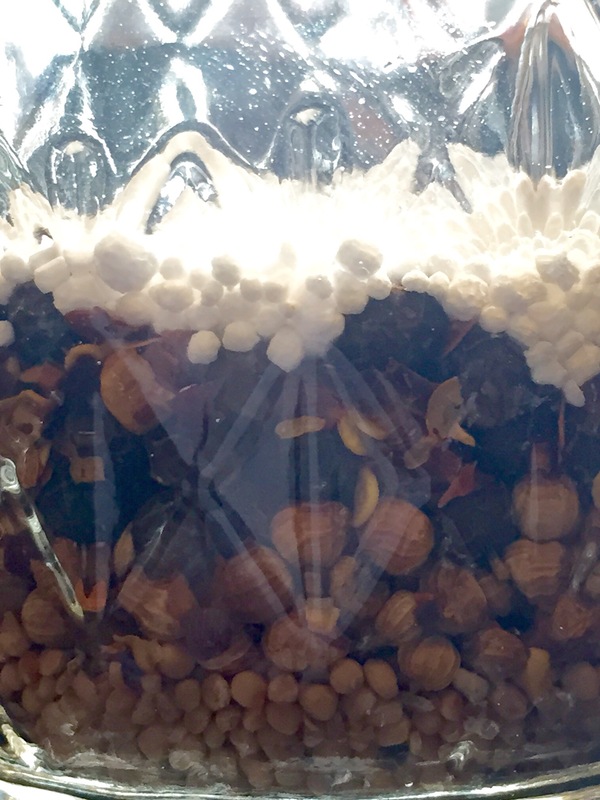 Follow a recipe for adding brine and processing jars.